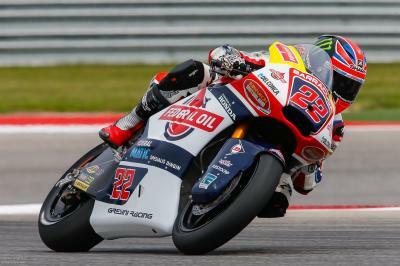 Lowes leads as rain stops action mid-session with Simone Corsi and Johann Zarco completing the top three once again. Dark and heavy clouds threatened overhead as the Moto2™ Free Practice 3 session began. Riders poured out of the pits to make the most of the dry track time should rain come later. With 25 minutes remaining, the rain flags were brought out and subsequently sent the field back into pit lane. With that the session was over for riders hoping to improve their times, Sam Lowes (Federal Oil Gresini Moto2) able to make the most of the first half of the session. On his third lap of nine in the dry, the Brit set a 2’09.981 to lead by over a third of a second. 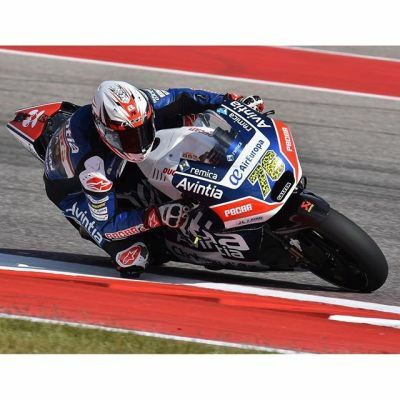 He was the only rider able to get below the 2’10 barrier and while Lowes improved his time from Saturday, he was almost half a second off Alex Rins’ (Paginas Amarillas HP 40) best time from the weekend. For the third time in the weekend Simone Corsi (Speed Up Racing) concluded practice in second place. 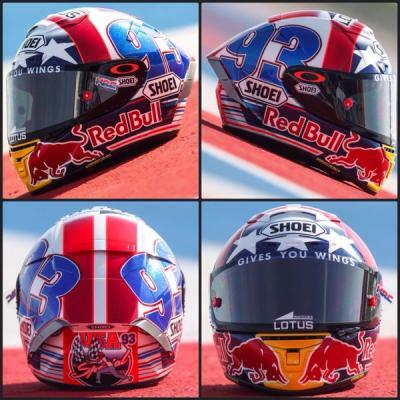 The Roman has certainly found consistency on the Speed Up frame at the Circuit of the Americas. In a similar vein, Johann Zarco (Ajo Motorsport) was once again third for the third time in the weekend. Neither of the pair was able to improve on their fastest time from Saturday before the rain came. Both were within half a second of Lowes’ time. Dominique Aegerter (CarXpert Interwetten) and Jonas Folger (Dynavolt Intact GP) completed the top five. 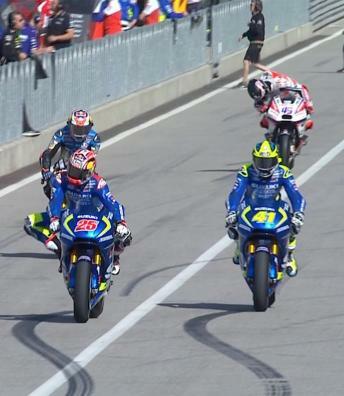 Franco Morbidelli (Estrella Galicia 0,0 Marc VDS), Takaaki Nakagami (Idemitsu Honda Team Asia), Alex Marquez (Estrella Galicia 0,0 Marc VDS), Alex Rins (Paginas Amarillas HP 40) and Tom Luthi (Garage Plus Interwetten) formed the top ten, all within a second of the top. 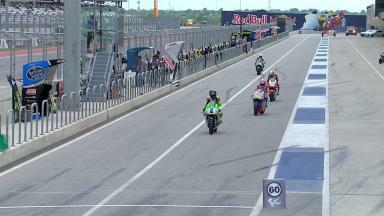 With 13 minutes remaining, several riders ventured out on track with wets fitted, led by Simone Corsi. 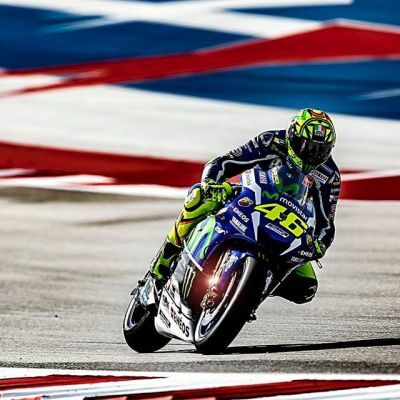 While it was clearly impossible to improve their times on the wet track, even their brief spell on the circuit allowed riders to gain some knowledge about the Texas track in the wet. 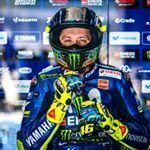 Each circuit on the World Championship calendar dries at a different rate and understand how quickly a circuit dries could offer a distinct advantage if the race is held in mixed conditions, as in Argentina. Lowes chose not to leave his pit box as he felt nothing could be gained in just three or four laps. Axel Pons (AGR Team) had a heavy crash at Turn 6 early in the session. 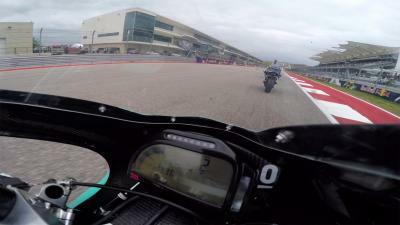 Mid-session also saw a fall for Efren Vazquez (JPMoto Malaysia) at Turn 14. There were further fallers after the rain fell, Corsi coming off at Turn 13 as he lost the front. He was soon followed by Johann Zarco at the same corner, the French rider’s first off of the 2016 season. Zarco remounted to finish his lap and continue working in the session. 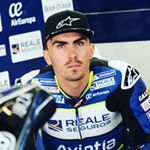 Towards the end of Free Practice 3, Marcel Schrotter (AGR Team) suffered his second fall of the weekend at Turn 20. Luca Marini (Forward Team) fell at Turn 9 in the final seconds of the session. All riders were unharmed. Results from the FP3 session can be viewed here. 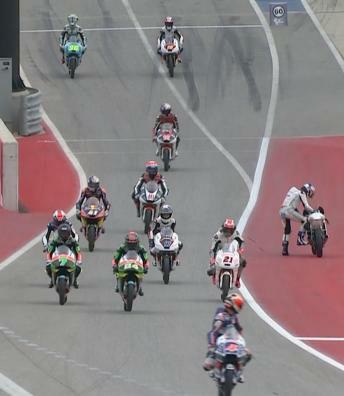 Moto2™ riders will return to the track for Qualifying at 15:05 Local Time. 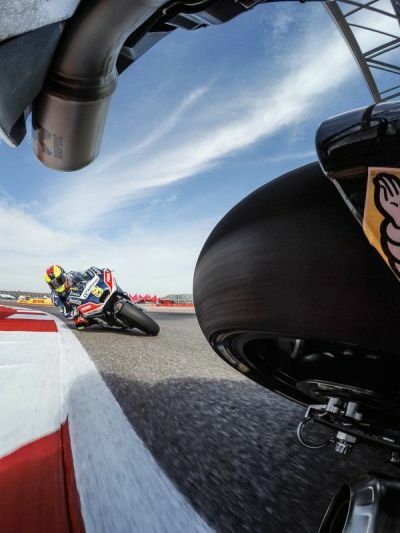 Go behind the scenes with Danny Kent at the #AmericasGP, filmed exclusively on GoPro™ cameras. After a hard race battling with a number of riders, Johann Zarco was pleased to end third at a track he finds difficult. After a race spent chasing Rins, Sam Lowes settles for second and takes the points lead in the intermediate class championship. 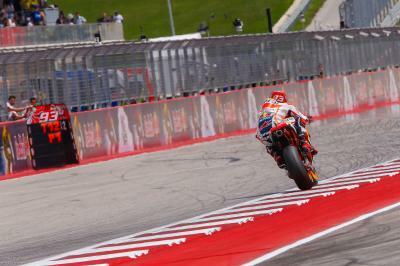 Untouchable once more, Marc Marquez improved his best time as Andrea Iannone and Jorge Lorenzo close in on the Honda rider. 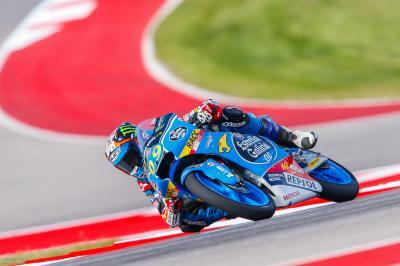 The first Moto3™ session of Saturday in America saw Jorge Navarro rise to the top with Fenati and Loi behind once more. 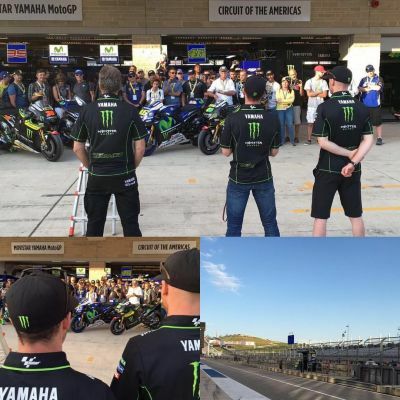 @bradleysmith38, @polespargaro and Herve say howdy to the fans before free practice kicks off! Ready to rock and roll?....You bet!